For centuries, the 40 days leading up to Easter have been a time for the disciples of Jesus to prepare for the most significant event in the Christian calendar. Many deny themselves sweets or other indulgences in order to better understand how the crucifixion and resurrection define our lives. It can seem like it’s meant to be a sombre time where we consider death, limitation, and the uncertainty of our world. In light of the Cross, we see something about our frailty and fault – how we have missed the calling God has set before us. We look to the Scriptures to renew our understanding of the last days of our Lord’s life. On that Good Friday, sin and death seemed to win but instead were defeated. And yet there is potential in all of it, just hiding around the corner. We know the light at the end of the tunnel, the new day about to dawn is on its way. Hope is not lost. Easter is the celebration of the time when God passed over our sins and led us into an everlasting Promised Land that is full of the goodness and joy which are the hallmarks of His Kingdom. We live fuller lives, enriched by the spiritual war that was won at Calvary. 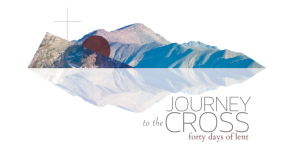 For the next 40 days, as a community, we’ll be taking a journey towards the Cross and beyond. Each week will feature an ancient form of prayer and reflection, repeated every day for six days. On those days you will practise using those exercises, accompanied by a portion of Scripture to use as inspiration, information and reflection. 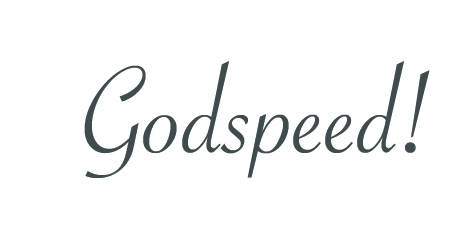 They are designed to take only ten minutes and shouldn’t require any extra materials except a Bible and pen. Many of these practices, while used for hundreds (and sometimes thousands) of years, will be brand new to you. Try them with an open heart and mind, and know that if they are challenging, that’s part of the process. They’re meant to stretch your understanding of what it means to experience and follow Jesus. Monks would often refer to a “rule” they had for their lives. This rule was less a set of laws to be followed but instead a way of measuring their hearts. Like a ruler shows us the length of a piece of paper, these rules show you the “space” you’ll need to benefit from this journey. Think of them as your spiritual GPS, to guide you to your destination. Every Sunday in the Christian calendar is meant to be a reminder of the Resurrection – a party where we bask in the glory of the Sabbath that is a window into the Kingdom of God. We are going to list Celebrating as a “seventh” spiritual discipline, where we take a weekly break to feast, laugh, dance, sing, and enjoy friends and family. Every week of activities ends with a Sabbath page where you are to take a break from your reflection and do something joyful. Don’t skip it to do your laundry; it’s as much of a spiritual act as the prayers we’ll be performing during the week. It’s a good idea to take a peek at the next week’s Sabbath so that you can plan ahead and get the most out of it! These days will be filled with insights about how God is moving and has moved throughout history. Write them down! This will be a journey taken both as individuals and as a collection of travellers moving towards the most important day in human history. Pack light, and be ready for the Spirit of God to guide you home.